"You Are Loved" by Josh Groban. Song makes me feel very good. Definitely Rufus Wainright's version of Hallelujah. Amazingly mind boggling. The Best of Me, by Bryan Adams. Jack johnson is my fav ! Maybe Shirley Bassey's vocal of The Rhythm Divine on the album One Second by Yello. A monster album with the great hit Oh Yeah! which you might remember from the movie Ferris Bueller's Day Off. But Shirley song just takes my breath. Somebody wants u, somebody needs u, somebody dreams about u every single night. This is my most favorite song. I´d say "Somebody" by Depeche Mode, which was one of my "Songs to grow up to". or "Let her down easy" by Terence Trent D´Arby. That song....phew...I just cant listen to that in public...cuz I´ll start to cry as soon as the piano starts. "Wicked Game' the version by Carmen Gomes,from the ''Thousand Shades of Blue'' album. and ''Love in Vain'' from Carmen Gomes inc's "Torn'' the Hi Rez download version from Sound Liaison. Swept Away sees the top-class quartet of pianist Eliane Elias, double-bassist Marc Johnson, drummer Joey Baron and saxophonist Joe Lovano commune over music that is engaging and sensual, lyrical and swinging. Brazilian-born star Elias previously joined ECM veterans Baron and Lovano on Johnson s 2005 ECM album, Shades of Jade, which reaped praise far and wide. 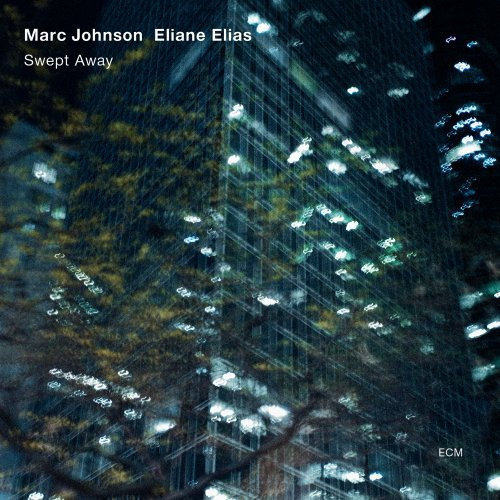 The New York Times enthused over the luminescence created by the close partnership between Elias and Johnson, while The Village Voice said the album was shimmering yet its lusciousness has all sorts of tensile strength. The same words suit Swept Away, which includes a brace of melody-rich Elias compositions, ranging from the easy-flowing title track to the smoky romanticism of Be Is for Butterfly and after-hours vibe of It s Time. Johnsons brightly grooving, Eastern-tinged When the Sun Comes Up is another highlight, and the album closes with Johnson s solo bass treatment of the old American folk song Shenandoah. Swept Away is music of depth that is disarmingly easy to love.